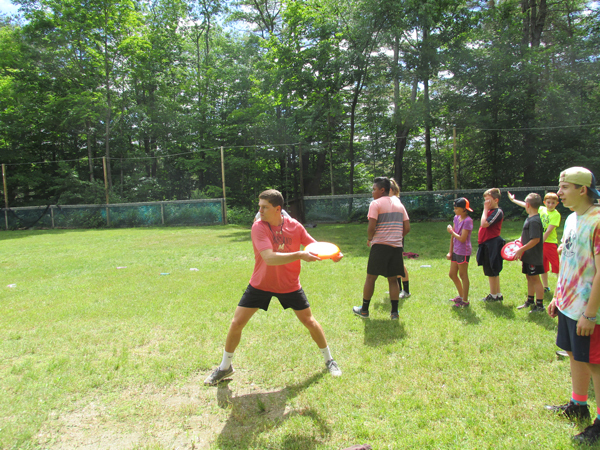 Ultimate Frisbee, which is played on our recreation field, is a very popular part of our team sports programs. 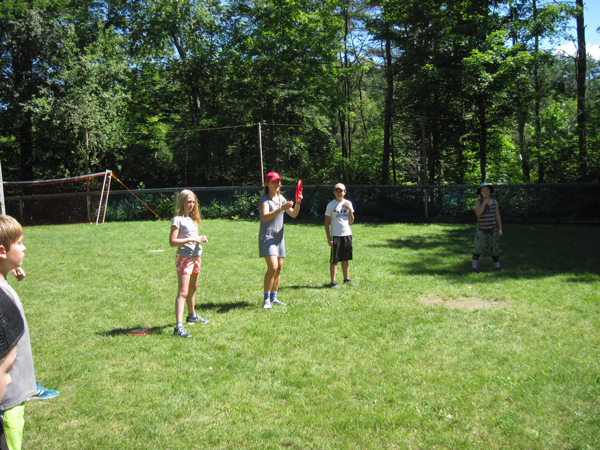 During the week the campers are taught the skills and rules of the game through a variety of drills and skill building games. 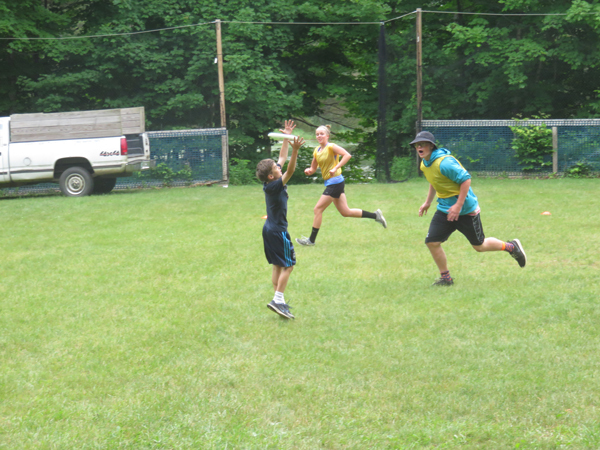 On the final day they are divided into two teams, and they play a full field game. 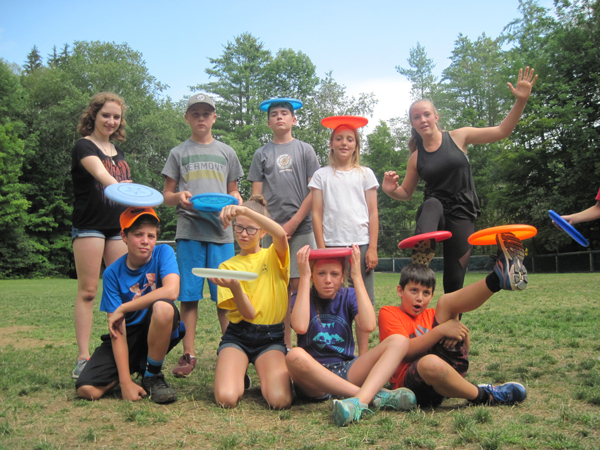 Throughout the week whenever they have free time, the campers in the ultimate Frisbee program can be seen practicing their Frisbee skills in their villages. 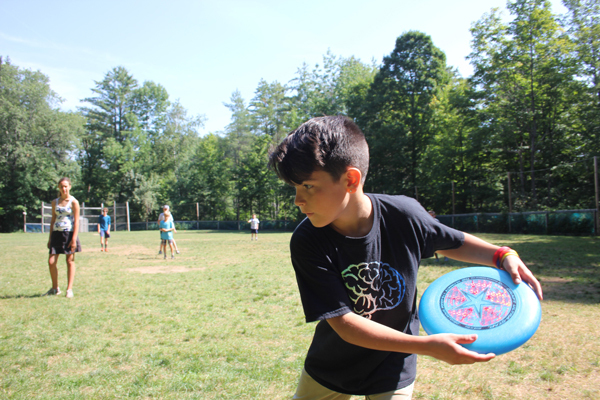 Ultimate Frisbee is the perfect game for those campers who want to learn a new sport that they can teach their friends back home. 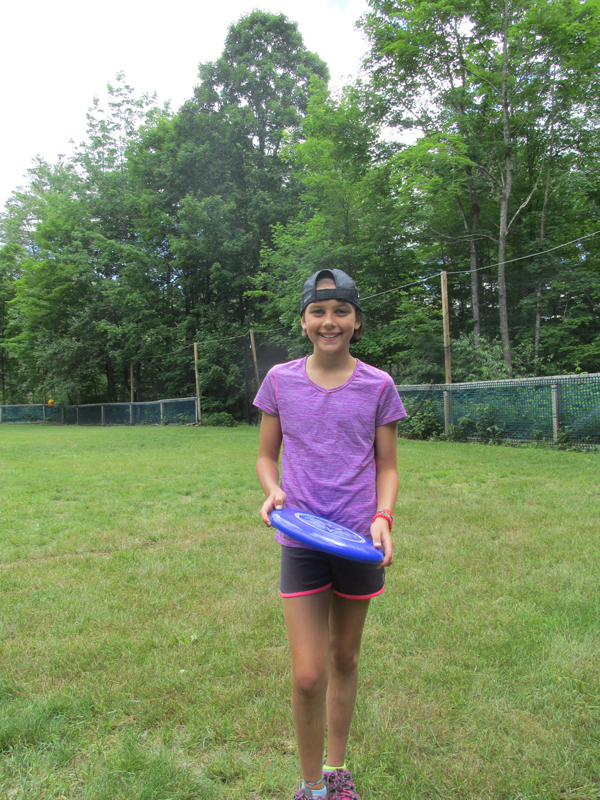 It is a game that can be played at any skill level, it is easy to learn the basics, it can be played by any size group, and it can be played practically anywhere. It is also an excellent way to get lots of exercise. *This class is only offered during the two week session.